Keeping kids busy can sometimes be tiring especially during the winter months. If you been following me for a while then you know we love to have game nights with the kids. The kids also get to play their video games during the weekend but they do have a limit on screen time. So keeping them busy with other activities is something I like to do to keep them motivated and interested in other things besides TV, Video Games and Tablets. 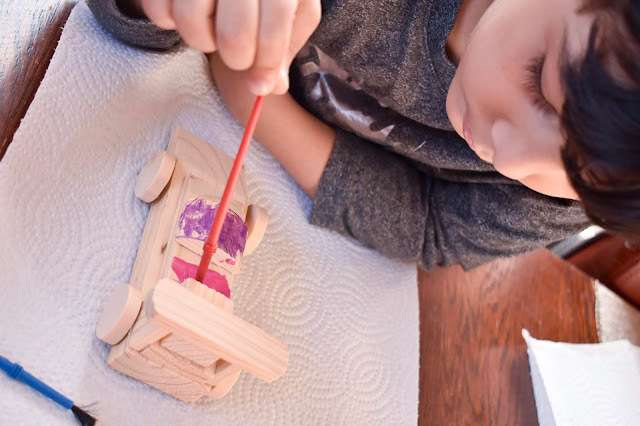 Crafts & building kits are always fun. Keeping mind of what is age appropriate for your child is always important. 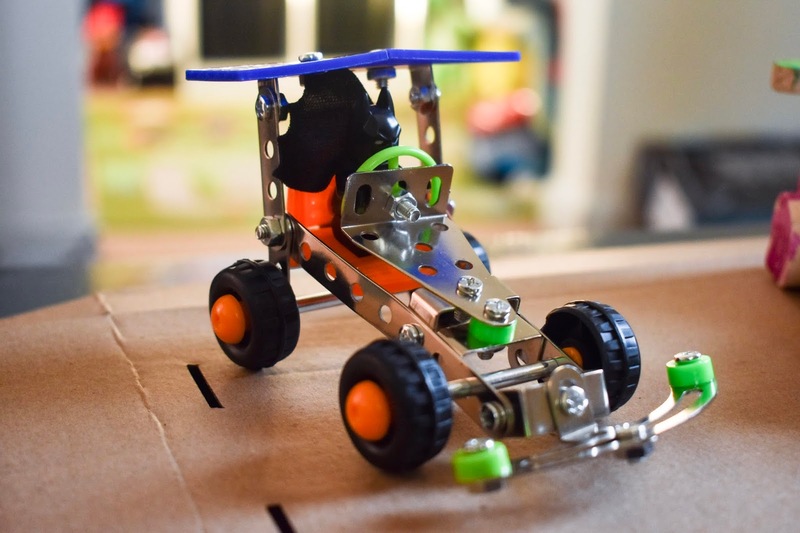 Jay received this Discovery Kart Racer Kit for Christmas so we decided to shut the TV off, put some music on and get to building. 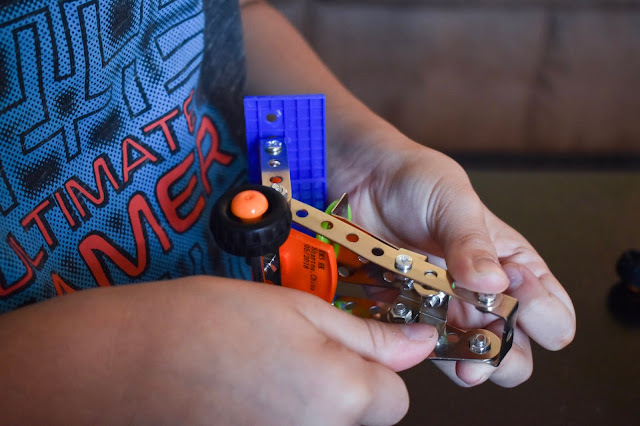 Although I try to do it with both boys Ayden lost interest quickly because the screws were small and he was not about it. 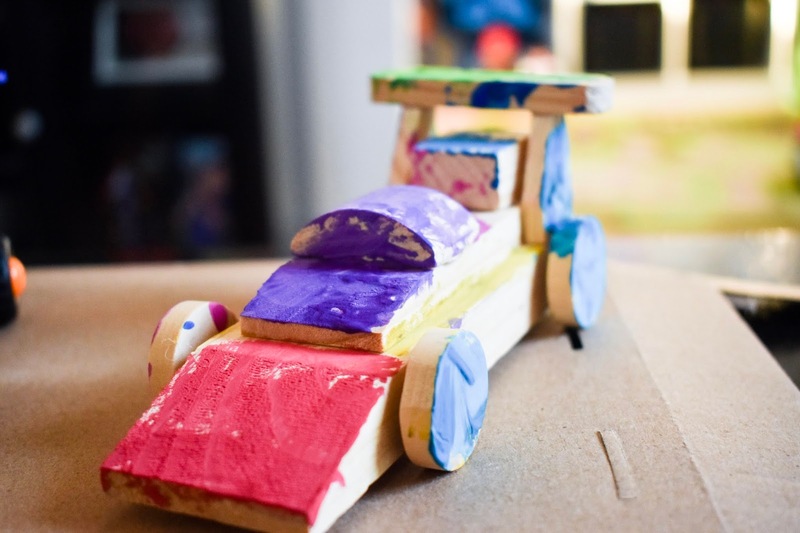 Luckily I had a Wooden Race Car Kit and so he was super happy to do that one by himself. 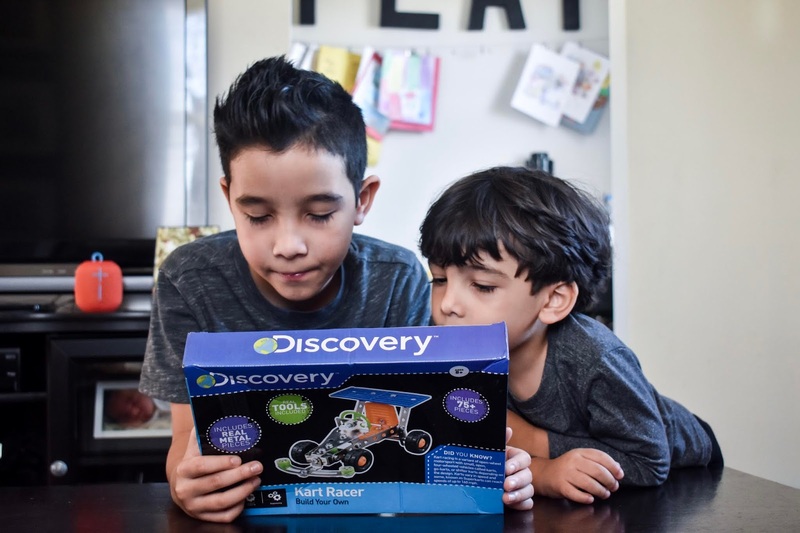 The Discovery Kart Racer was a little tedious I must say but I liked the fact that it had Jay thinking and learning to use the screw driver and wrench. He was trying to figure out his hand coordination on how to hold the pieces and put them together. I think its so important to learn these basic things as a child as I don't think he gets much hands on experiences like this in school. So exposing him to some of these things at home is not only fun but important. I have to say he did amazing building his car. Following the directions and figuring out how to use the tools was a learning experience. He said its definitely not like building his Lego sets but that he really enjoyed it and can't wait to build another one. My boys love doing things like this and love when I sit down with them and give them my all. I also really enjoy these moments as well. We can get so caught up with being on our phones, working on the computer, glued to Netflix, or video games that we forget to unplug and try new things and ways to have fun. 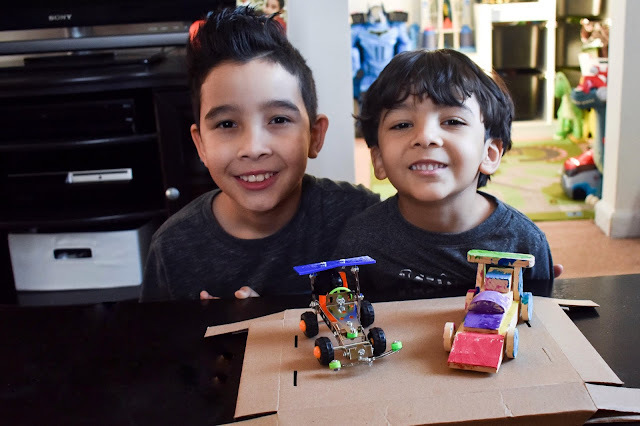 What kind of things or projects do you enjoy with your kids?